Murapol has finalized its agreement concerning the purchase of land in the northern part of Katowice. The plot is located on Bytkowska St. and is destined for a housing project called Murapol Śląskie Ogrody. Vastint Poland has signed a preliminary agreement for the purchase of a plot of more than 9 000 sq. meters 2 Piotra Skargi St., where the Silesia Hotel is situated. 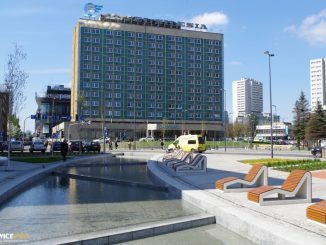 Ghelamco has purchased a construction plot located in front of Silesia City Center. The Belgian developer is going to erect there an office building.